Do you really want to surprise the yogi in your life? 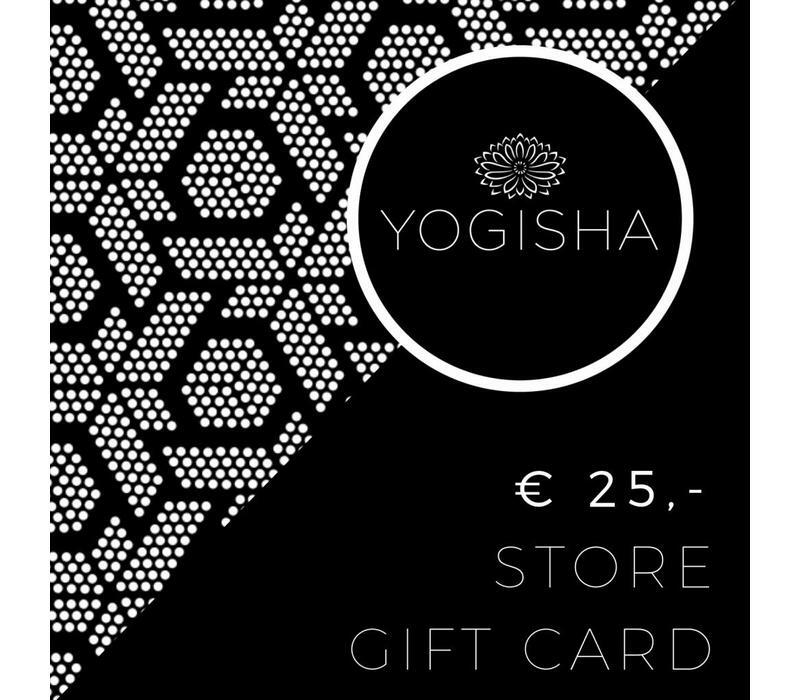 With the Yogisha gift card you'll always give the perfect gift! Do you really want to surprise the yogi in your life? Then give the Yogisha gift card! With this the recipient can choose the perfect gift from our large assortment of yoga products. This gift card can be used in our brick & mortar stores in Amsterdam and The Hague. Here you will find a large collection with women and men's yoga clothing, yoga mats and accessories, and all you need for meditation. The gift card will be delivered by post, or can be picked up at our store in Amsterdam. 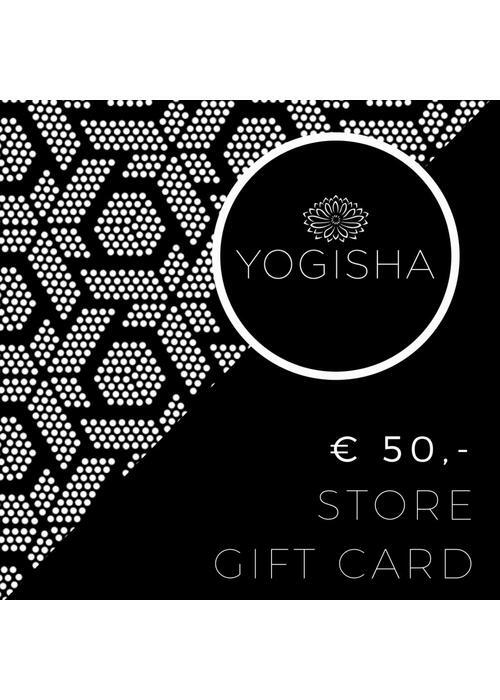 Note: this gift card is not valid in our online shop! Do you really want to surprise the yogi in your life? 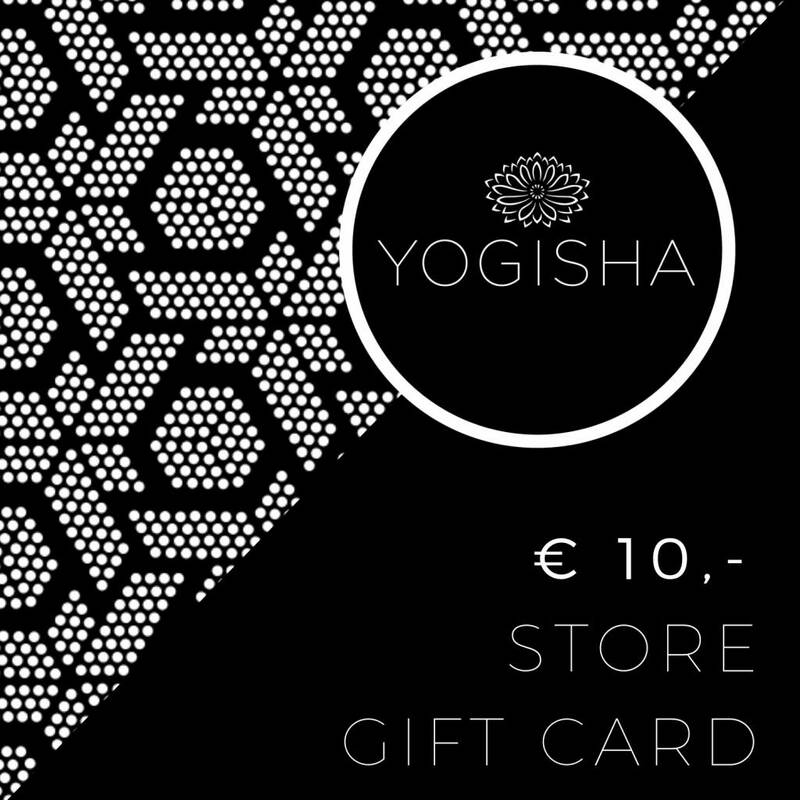 With the Yogisha Online Gift Card you'll always give the perfect gift!